The Kenmore Elite 31150 is a super popular upright vacuum, partly because of its super high rating, so we put it through a ton of tests and read a lot of reviews and this article will try to make sense of it all. So let’s jump right into the pros. The Kenmore Elite has an extra inducer motor which is supposed to give it a lot more power, and man, did it work. We tested it at 83 CFM at the cleaner head and a whopping 120 CFM of airflow at the hose. Its suction was off the charts as well at about 88 inches of water before the safeguards kicked in. What that means is that it’s probably one of the most powerful vacuums on the market. 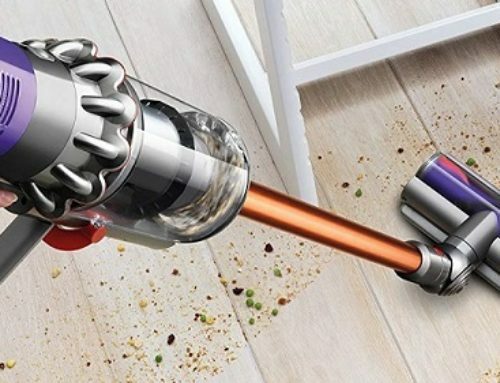 To give you some context, the Dyson Ball Animal 2, the most powerful vacuum in Dyson’s current lineup, scored 73.5 CFM at the hose and 55 CFM at the cleaner head. So it’s almost 40% more powerful than Dyson’s most powerful current vacuum. In fact, it’s the highest airflow I’ve ever measured from a vacuum that was not a Kirby. Another good thing is that its claims of being great for allergies seems to be true. In our tests for leaks with a fog machine, we saw no leaks at all, which is not as common as you might think for vacuums that claim to be good for allergies. This is especially noteworthy since I was testing a slightly used Kenmore Elite. As far as its cleaning ability, I was very impressed. It has a five level height adjustment. 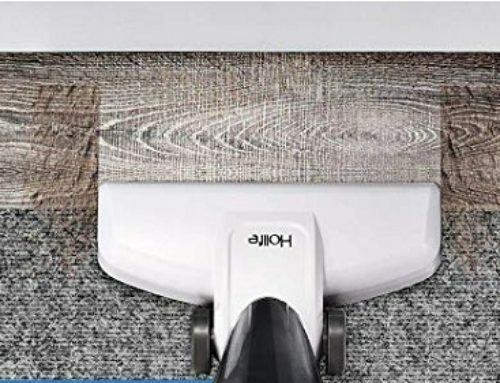 It has unusually thick bristles and a very powerful brush roll motor for carpet agitation, combined with its super high suction and airflow, it really does deep clean carpets. I also like that it wasn’t necessary to keep adjusting the height, no matter the size of the debris. I found that the medium setting picked up everything I put down from small to extra-large debris and deep cleaned fine debris at the same time. Though for best deep cleaning results, you should customize it to your carpet height. One of the most surprising pros was its ability to clean hardwood floors. It markets itself as being good for all floor types, and with its ability to shut off the brush roll for hard floors, its airflow, and decent clearance, I found that it flawlessly picked up everything from fine debris to sand to larger debris of all types. Here, again, the height adjustment didn’t need to be fiddled with all that much in order to do this, which is much more rare than you might think. In fact, we think it was the best upright vacuum I have tested for hardwood floors that didn’t have a soft roller. It has a lot of bells and whistles including a dirt sensor, which I found to be pretty accurate, LED lights, which are more useful than you might think, and a decent attachment package including a telescoping wand. A few other notable things before we get to the negative things: it has an unusually long power cord at 35 feet and an unusually sturdy hose. And it looks really cool as well with its sleek design. Moving on to the cons. It’s pretty heavy at 20 pounds, what you kind of have to expect with as much power as it has, and though you don’t really notice this when vacuuming since it does roll very well, you would certainly notice it if you had to carry it up and down stairs. And on that point, the stretchy hose doesn’t stretch all that far. Don’t worry the vacuum wasn’t on. No cats were harmed during the making of this article. The point is that because of its size, you really wouldn’t want this vacuum if you had a lot of stairs. Another negative is regarding its attachment set. My biggest complaint would be that the handheld pet brush, which many reviewers also noted clogs way too easily and you have to fish out pet hair from around the axles to get it working again, I would go so far as to say you might as well not plan on using this attachment since it is so finicky. Related to that, though I like the telescoping wand, I don’t like how it attaches to the hose as there’s a little twisting locking mechanism as well as a sliding locking mechanism which needs to be down to seal it. It’s just a little too complicated and seems prone to problems with all its moving parts. We read reviews that said the exhaust air from the post-motor HEPA filter would blow light debris around, but I found that while the air does blow out from the sides, it doesn’t blow toward the ground and it didn’t bother any of the light debris in our tests. 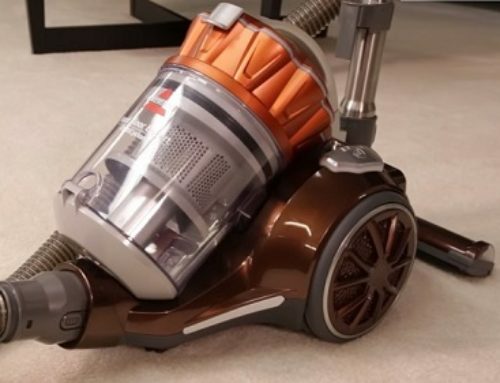 So I would say that this may be one of the best bagged vacuums I’ve tested, and if you’re looking for an extremely powerful vacuum that really deep cleans carpets, is excellent with hard floors, and is one of the few vacuums that are truly excellent with air filtration, the Kenmore Elite is a great buy. But I would stay away from it if you have a lot of stairs or you plan on using the attachments a lot.